Thank you to all the students who have joined us for Summer Camp 2018! We hope to see you all again one day. "Summer Camp was so much fun! I made so many friends, especially during the second camp, I will stay in touch with them all. My favourite activity was taking part in the water sports. The teachers really helped me during the morning lessons." 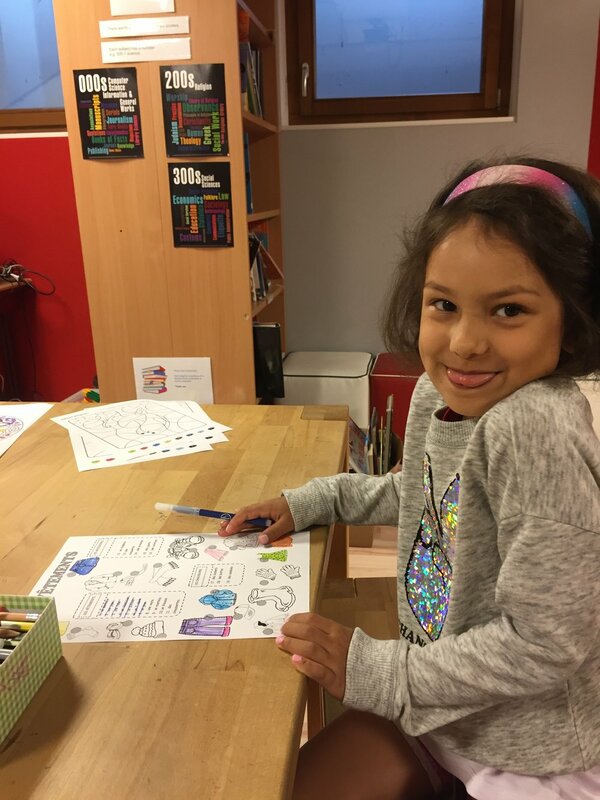 "I attend La Garenne during the school year but I wanted to join Summer Camp this year as we have a lot of fun. In the afternoons we do a range of activities - my favourite is the Water Park as there are so many different rides. 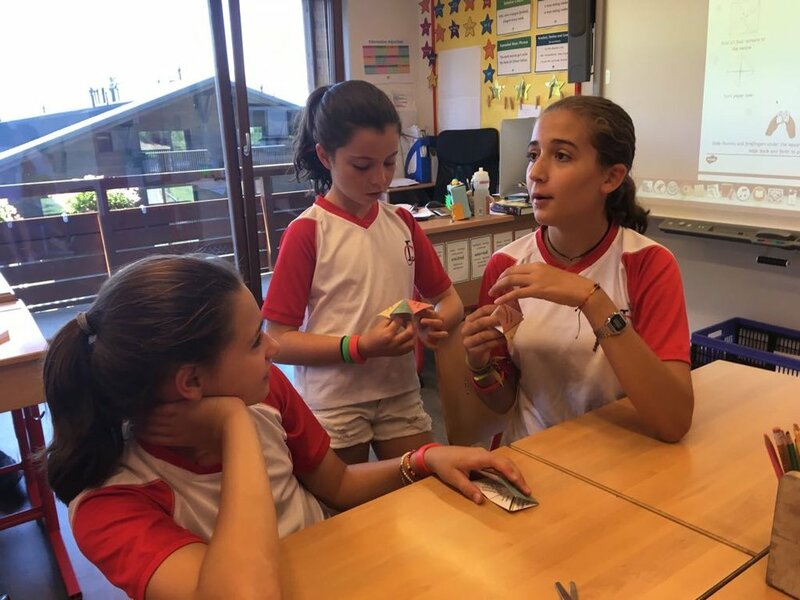 I study in the English section during the year so I joined the French section during the Summer Camp to help improve my French." 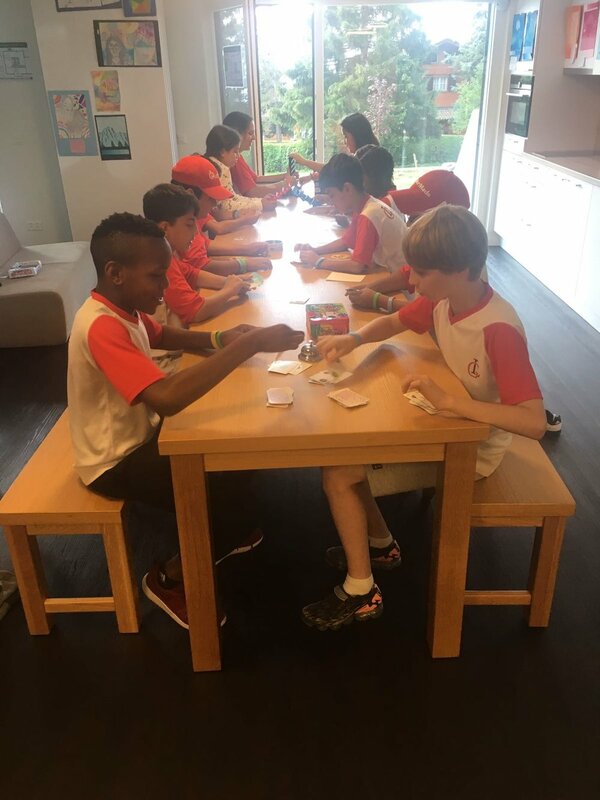 "This is my first time at La Garenne Summer Camp and I have really enjoyed it. I have met lots of amazing people who I will stay in touch with and the teachers and monitors were all really nice." Over the past weeks, the Tigers have been working hard to improve their written work! As confident speakers, they have made a real effort to learn new grammar rules and to make their writing more accurate. 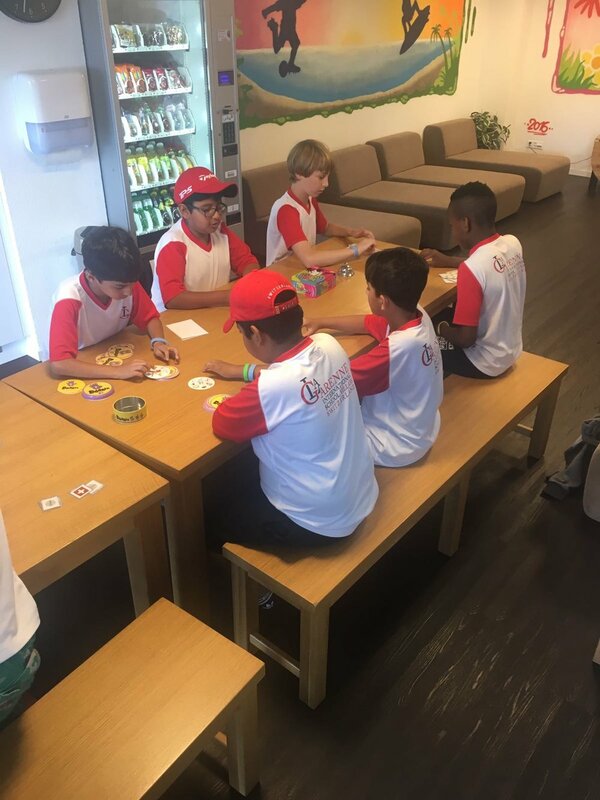 They have enjoyed doing a mixture of activities, and particularly enjoy team games as they are very competitive! On top of this, the Tigers have been reading Roald Dahl's 'The BFG' which they are very much enjoying. They are looking forward to finishing the week by watching the film! 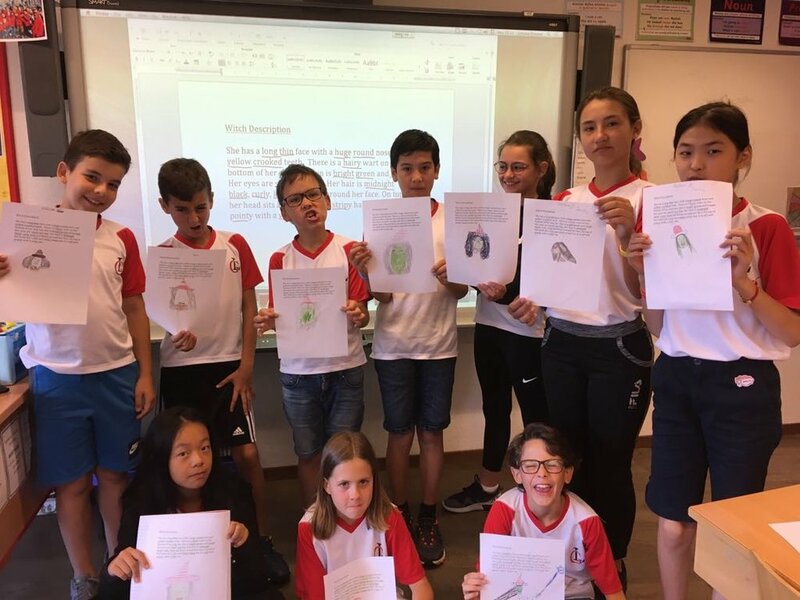 Aujourd’hui les élèves de la classe « Des Renards » participent à des activités ludiques et créatives afin de développer le besoin et le désir de maîtriser le français. Les jeux permettent de présenter, fixer et réviser les contenus langagiers vus en classe. The Cheetah's have set off their week to a great start showing enthusiasm, interest and commitment to learning English. Each morning they enjoy coming into class and starting the day with 15 minutes of quiet time. They have the opportunity to read in English, practice mindfulness or ask any questions. As quiet time comes to an end they practice their writing skills each morning by completing a diary entry. They are now moving forward and improving their independent learning skills; completing their diary without an example. We have had lots of fun learning about the human body and the Cheetah's love the game 3,2,1 Show me: old, tall, short, attractive etc- their acting skills really shine here! They have learned how to describe themselves and others with a great knowledge of pronouns and human body descriptions. The Cheetah's have learned about different animals and applied their knowledge from body parts to a fun dictation activity. Whereby they listened to a description of a mythical creature, comprising of different animal parts and then draw the closest match to the creature. The whole class was superb and it was tough to decide on a winner! 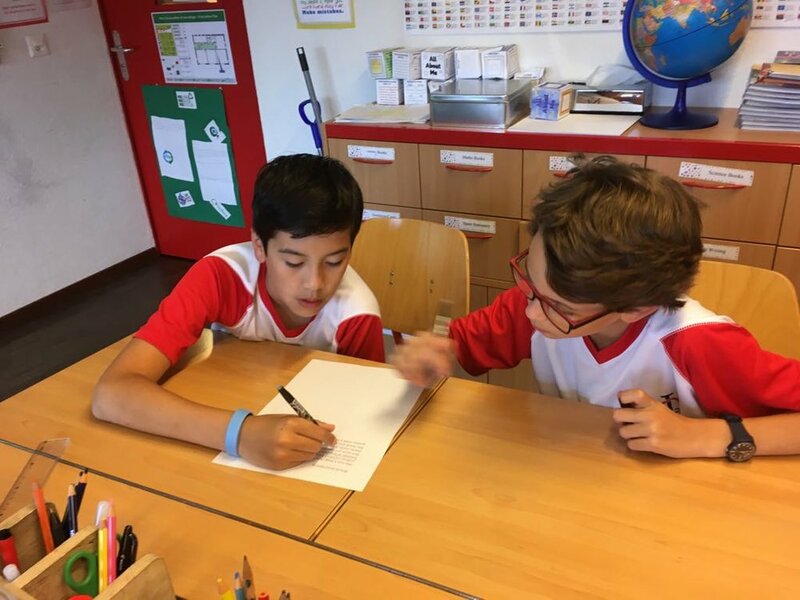 Furthermore, the Cheetah's are now moving into more advanced learning and understanding word classes such as nouns, adjectives and verbs- applying their understanding through literacy. We've had fun combining different activities in reading, listening, speaking and writing. Yesterday the highlight of the day was determining who the secret holder was out of 3 people; asking 'Wh' questions to determine who was the person with the silly secret. Next week we will learn how to change verbs into the past. We will then walk into the village to buy a post card and utilise our past verbs so each student can write a post card home telling their families all about what they have been up to here at La Garenne. We will learn about emotions, expressing our feelings, food and ordering in a restaurant. We will finish our week with a fun blindfolded tasting test to use all 5 senses and learn about the foods we are tasting! The children in Bear Cubs have been working hard this week. After reading the book `Monkey Puzzle` they have been learning about wild animals and the English names for animal babies. 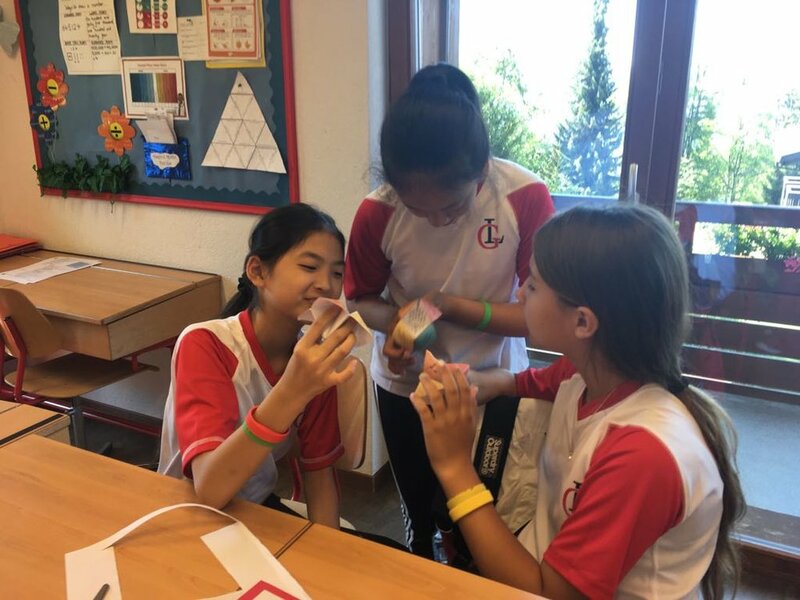 Whilst celebrating Swiss Day the children have been finding out about the different things that Switzerland is famous for and making their own Swiss flags. 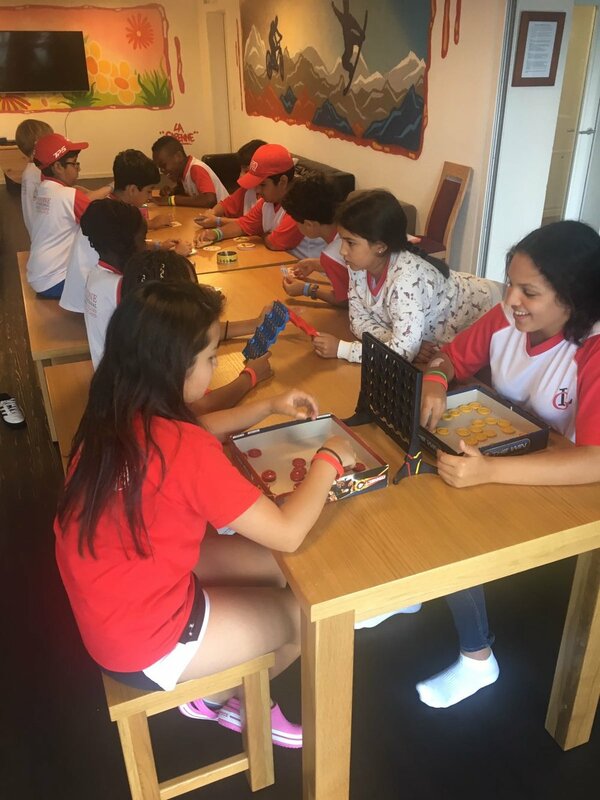 The children have also been working hard developing their fine motor skills with the construction equipment and making new friends and extending their English skills by playing lots of games together. Every year on the 1st August we celebrate Swiss National Day here at La Garenne. 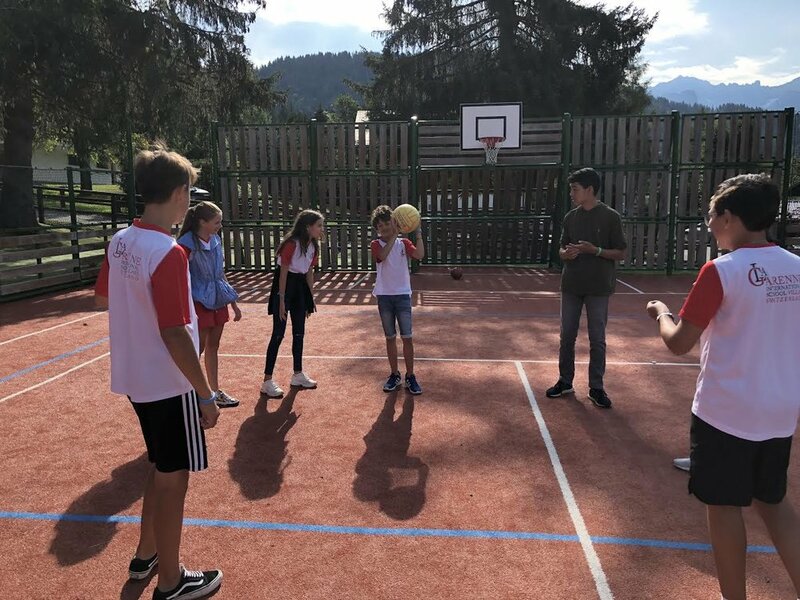 During the morning lessons the children enjoyed learning about the importance of the day and they participated in a variety of activities all about Switzerland. Whilst learning all about countries and continents we made fortune tellers to ask questions and test each other’s knowledge. We were learning how to use adjectives to bring writing to life! We identified the adjectives in a description of a witch and then drew what she looked like using the information from the text. Aujourd’hui les marmottes ont travaillé sur le thème des vêtements. Nous avons vu comment s’habiller en été et comment s’habiller en hiver. Pour continuer sur le thème des cinq sens commencé la semaine dernière, nous avons également travaillé sur le sens du toucher. Les enfants ont ainsi étudié le vocabulaire associé : doux, piquant, froid, chaud, léger et lourd. The Cheetah's hit the ground running last week with enthusiasm and commitment to learning English. They used their imagination to persuade the class that it was them that had done something silly when they were younger as the class asked 'Wh' questions to 3 students who claimed to be the holder of a silly secret. They have been able to identify different body parts and features- using pronouns to describe themselves and others. 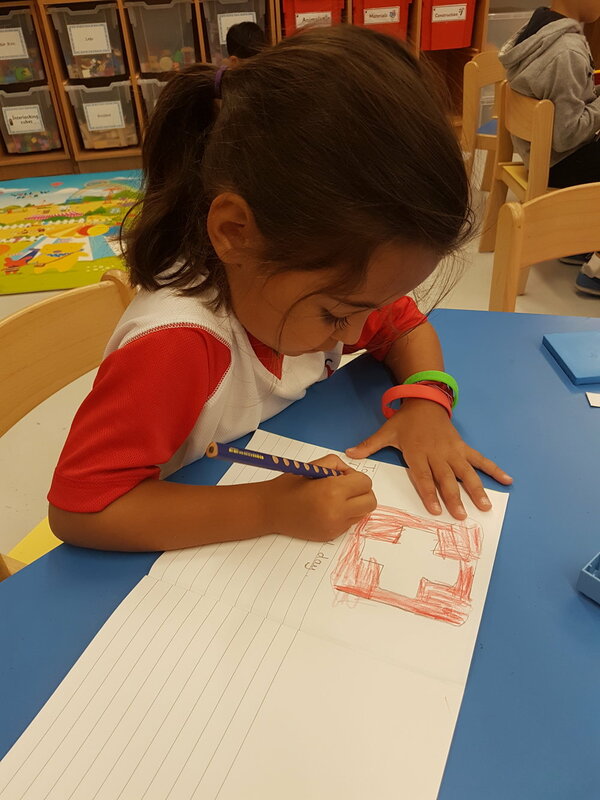 From here they have been able to differentiate between wild and farm animals and pets, understanding different body parts in order to create their own creatures. They have advanced their English skills by identifying different habitats and animal adaptations. Furthermore, the Cheetah's learned all about different words classes (verbs, adjectives and nouns). They have been able to apply their learning directly by recognising different features of animals and explaining their understanding from a documentary. The Cheetah's are finalising their week by learning about the present continuous and past tense. 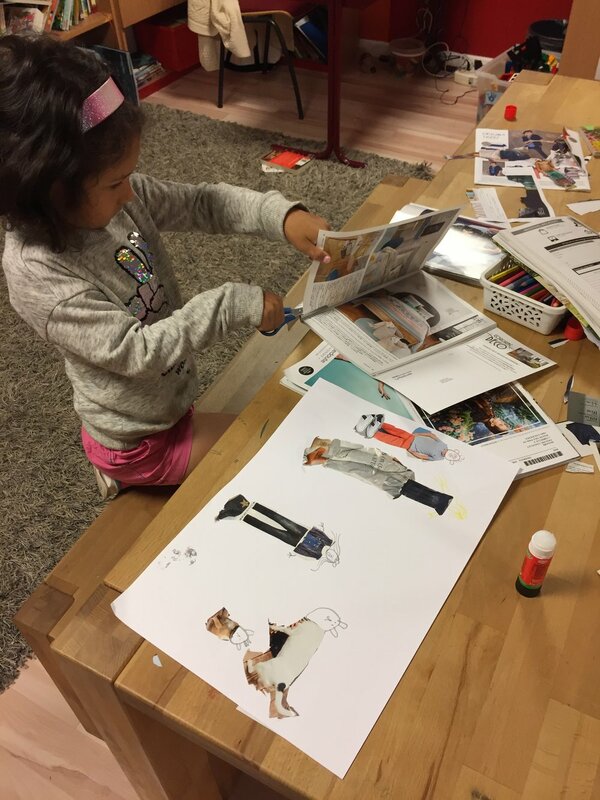 They will apply their learning directly through different applications such as book reviews, reading comprehensions and speaking and listening exercises. The students have had a super time and are looking forward to seeing their parents this weekend! This week, the children in the Monkeys’ class have enjoyed playing some team games on the interactive whiteboard. 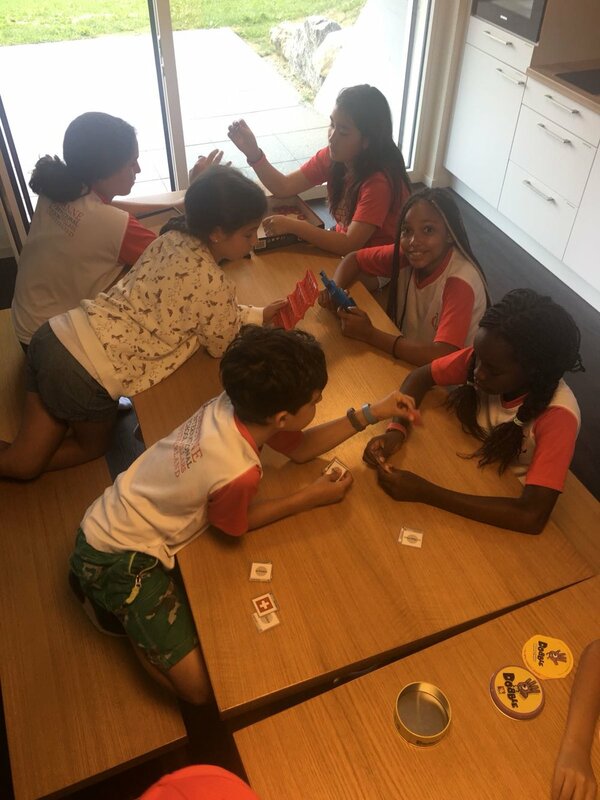 These games have helped them practise their vocabulary around the different topics we have studied, as well as work together and communicate in English. The game ‘Wheel of Riches’ on Linguascope is a particular favourite, and they have all been very competitive! On Thursday, the children spoke and wrote about themselves. They began the day sorting words into groups of nouns, verbs and adjectives, and then used the adjectives to describe their physical appearance and personality. They enjoyed having a go at drawing the other side of their faces! The children also looked at some more advance vocabulary associated with homes and houses. They described the types of houses that they live in, in their home countries and they rooms that are in them! The children enjoyed reading, watching and retelling the story of ‘The Three Little Pigs’. They worked in groups to order the story sections, using sequencing cards, then retell the story using a story map, and lastly, retell the story orally to the class. All the children spoke clearly and were not afraid to try, even when they were not sure of the correct English words to use; it was lovely to see the children helping each other.